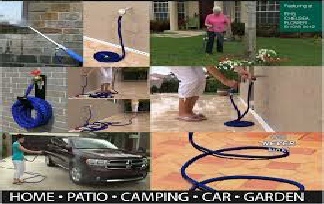 Expandable Hoses - Grows to 3 times the size! 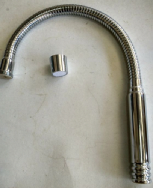 There are many types of these hoses on the market which promote there quality. Some are TPE (Thermoplastic elastomers) which is one of the lower qualities and taking into account some hoses have single or double tubing. The best available quality on the market is Natural Latex with double tubing. This is exactly the type of hoses we stock and pride ourselves on offering our customers the best available on the market. 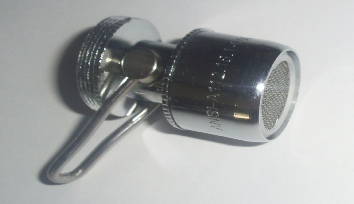 We also, ensure that the price of our hoses are the cheapest and best value for our customers. 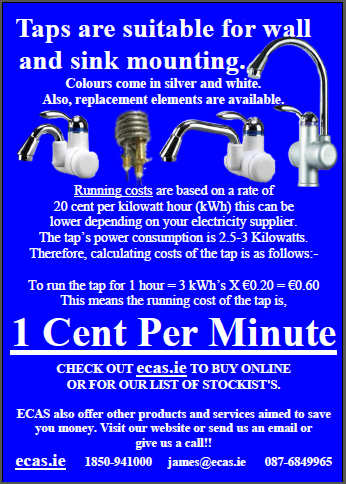 Delivery of €10 may apply. Products should be installed by a competent person. 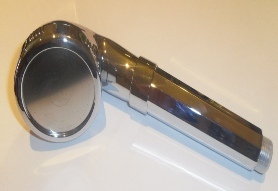 This shower head has an on/off button which is fitted into the handle to stop the shower dripping when not in use. 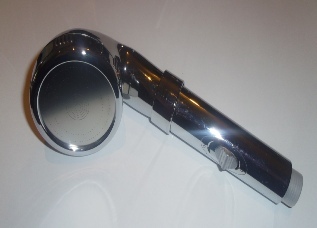 This shower head is similar to 001, but it has no on/off button to stop the shower dripping when not in use. 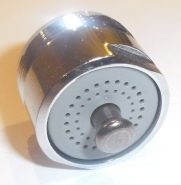 The aim of the Water Saving Shower Heads is to reduce the amount of water being used from existing showers. 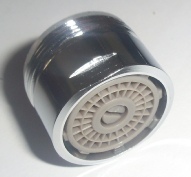 Shower heads are a simple but effective way to reduce water usage especially if a household uses the showers regularly. The 001 & 002 models both have a capsule inside them that has porous stone and reduces the hardness of the water that is delivered to the body. 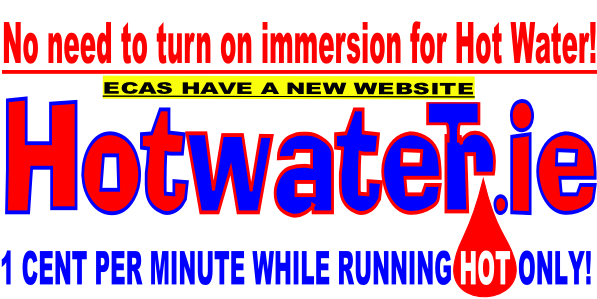 This has many added benefits in removing lime scale from the water. 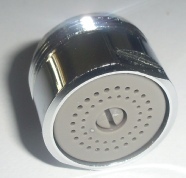 This shower head is smaller than 001 & 002, it has no on/off button to stop the shower dripping when not in use. This does not have a capsule inside. 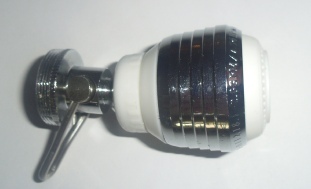 WE also stock connectors that join hoses together in cases where the sizes are required to combine a longer distance. 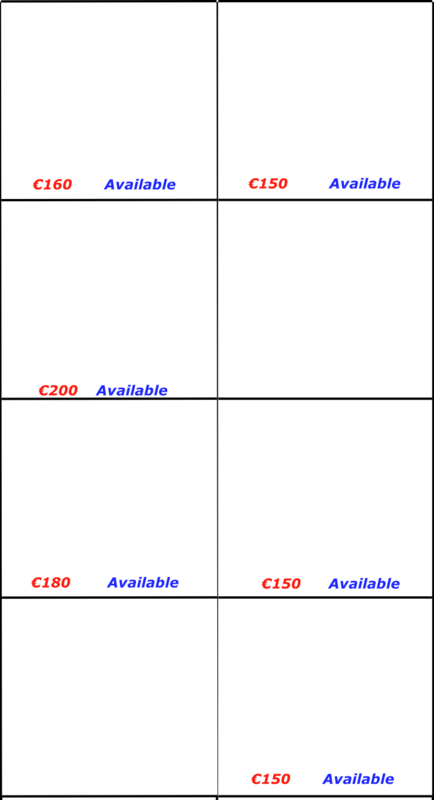 These will be included on request of the buyer. 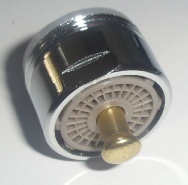 This product is fitted to a water supply coming out of the wall or up from the bottom. 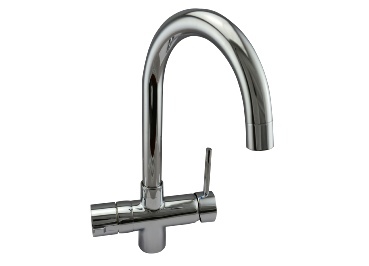 This means it can be sink or wall mounted. 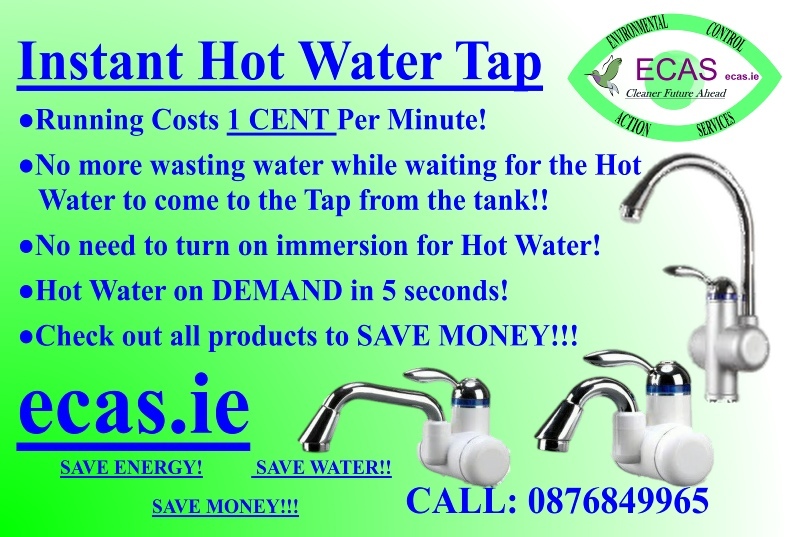 This product is fitted to a water supply coming out of the wall and not up. 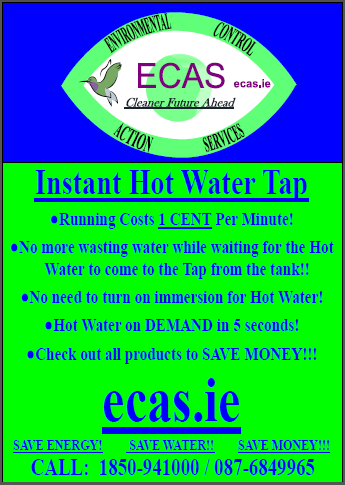 Delivery of €5 applies. Products should be installed by a competent person. by using this RCD plug. 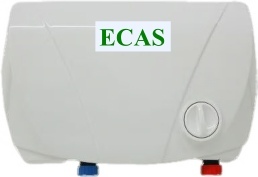 Instant Hot Water Heating Unit with manual setting of 1, 2 & 3 Kw of power to adjust heating of water. 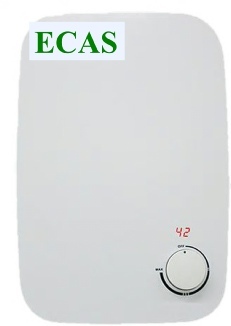 Instant Hot Water Heating Unit with digital setting of 1,2 & 3 Kw of power to adjust the heating of water. 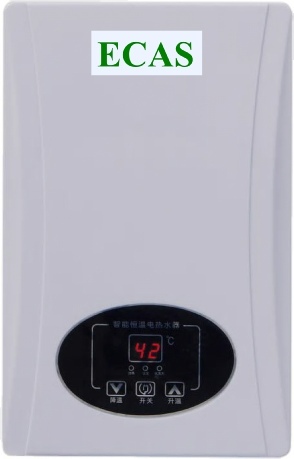 Instant Hot Water Heating Unit with digital setting with 8Kw of power to adjust the heating of water. 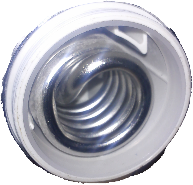 These are suitable for outdoors in places like dairy parlours and farms. Products should be installed by a competent person. 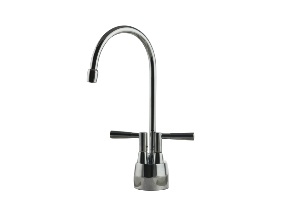 The New Chrome model has a digital display that should how hot the water is that is flowing out of the tap.